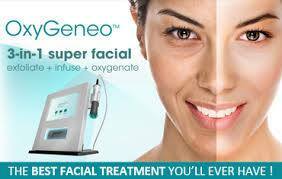 At Inspire Day Spa in Phoenix people often ask the question: which is better, an OxyGeneo facial or a hydrafacial? So in light of this OxyGeneo vs Hydrafacial debate, we’d like to set the record straight. First ff, our clients seem to really love both. This is because both the new OxyGeneo facial and the hydrafacial do extremely important things for your skin. Either way, with either treatment at our Phoenix az based location, you are going to feel incredible afterwards. The key with any effective facial is to ensure you have a qualified and experienced esthetician. At both Inspire Day Spa and Scottsdale area New Serenity Spa, we hire only the best Arizona has to offer. With years of experience and intensive training, they understand the importance of approaching every client uniquely. Your skin is special and each guest is different. We take the time to understand your specific facial needs and in turn, determine what will work best for you. A thorough exfoliation takes place similar to that of microdermabrasion. This prepares the surface for the influx of nutrients and minerals to come. The oxygenation that takes place helps to increase blood flow and creates an overall clearer looking complexion. 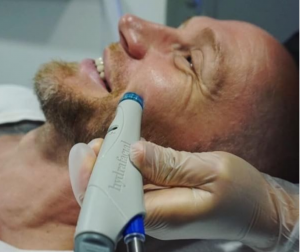 With the hydrafacial, the steps are very similar. Beginning with an exfoliation using a small deplaning tool, the esthetician rids the surface of dead skin and other debris. Next comes a gentle glycolic peel followed by an extraction which serves to “vacuum” out those clogged pores. Finally, we infuse the skin with a special serum that enhances tone and thoroughly hydrates. Is There Really a Difference When It Comes to OxyGeneo vs Hydrafacial? While there are differences, choosing the right application for your skin is best done by consulting with a trained esthetician. At Phoenix’s Inspire Day Spa, we love to sit down with clients and review all of the options. We want you to have smooth, firmer looking and refreshed skin!